FLIR offers video encoders that transfer analog video signals into digital streams over a LAN, Internet or Intranet for live image viewing in a Video Management System or Web browser. The TRK-101-P PTZ Tracker is a compact, self-contained video encoder that requires no additional components for video analysis. 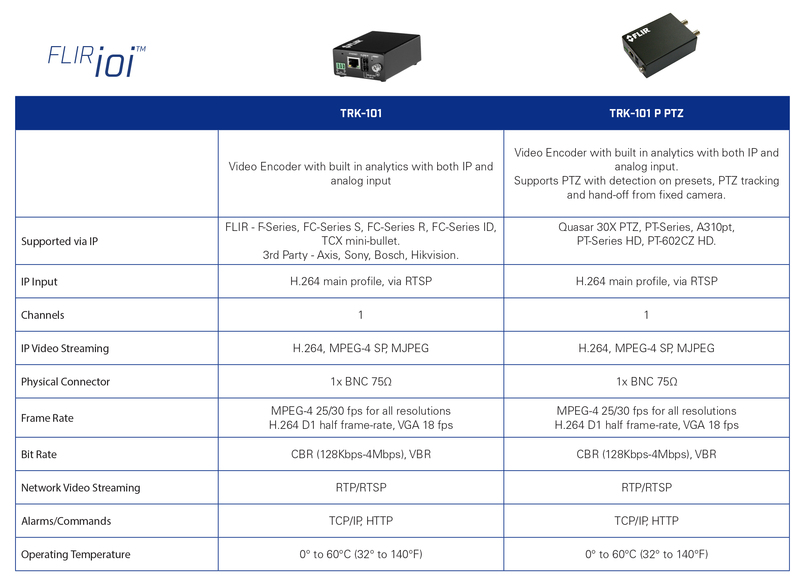 The TRK-101 features analog and IP streaming video outputs (H.264, MPEG-4 SP and MJPEG) to enable hybrid connectivity to legacy and IP-based CCTV networks.